David Cecchetto, Marc Couroux, Ted Hiebert, and Eldritch Priest (The Occulture). 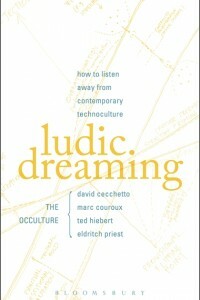 Ludic Dreaming: How To Listen Away From Contemporary Technoculture. London, UK: Bloomsbury Academic, 2017. 160 pages.